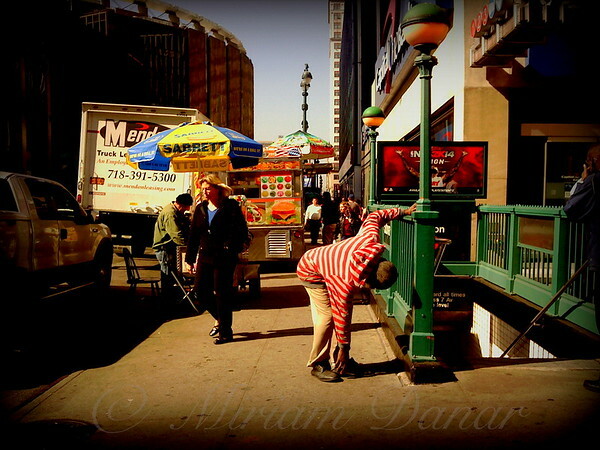 A moment frozen by sun, near Madison Square Garden. A man stoops to adjust his shoe as a woman hurries by, seemingly unaware. A vendor keeps to himself as he readies for the lunchtime crowd soon to descend. Players on a stage. Nothing to see here, folks, nothing at all.